I'd like you to meet Jaron! 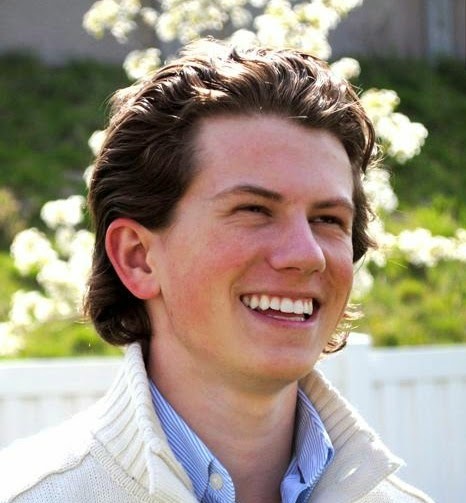 Not only does the boy have some of the straightest and whitest teeth on the planet, he also has insanely dreamy hair. I'm talking about hair that could star in shampoo commercials, people. 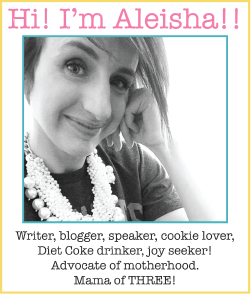 I'm talking about hair that could sell styling products and blow dryers. It. Is. Luscious. 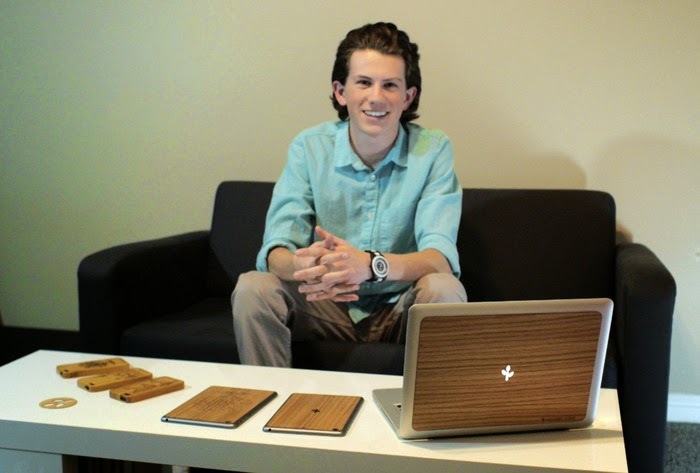 Jaron's company, "We Wear Wood," sells natural wood covers for your Apple devices. 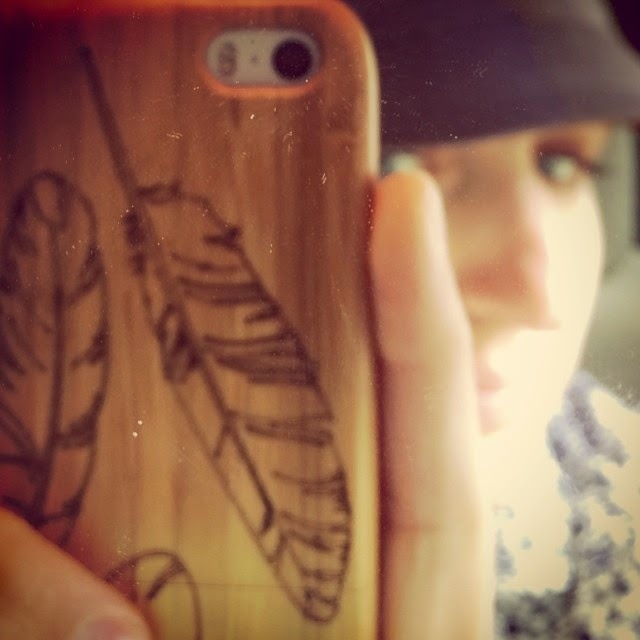 The bamboo, rosewood, and maple iPhone cases are elegant and stylish; the engravings on them an artistic and distinctive bonus. Covers for MacBooks and iPad Minis are also available. If you would like to learn more about Jaron and his company, you can view the Kickstarter video below. Also, visit him at https://www.kickstarter.com/projects/jaronhall/we-wear-wood-wood-meets-high-tech if you are interested in backing his product and purchasing a case. They are beautiful and affordable! His website, http://www.wewearwood.com/, is a great place to connect with him as well. Seriously, my friends, you must see the maple wood in person. It's as pretty as Jaron's teeth! I highly recommend it for it's natural, light color, it's durability, and it's all-around classy appearance. I sincerely wish Jaron the best in life and in all his business endeavors. He is a person of value and integrity; a young man who works hard and exhibits ingenuity. I find his drive and originality as refreshing as punch! And he'll always have potential gigs with Vidal Sassoon to fall back on! But I doubt he'll need them. Do you wear wood? You should. These are really cute but I wonder how well they do at actually protecting the phone if you drop it. "Take Me To The Library" Tuesday!